The xxter unit is the central module in your home or building allowing you to control all (knx) home automation functions. These functionalities are prepared online by your installer once, after which you as an end user have the ability to set up the controls and define their look and feel. xxter is compatible with the world wide KNX standard for the automation of electrical installations of buildings. 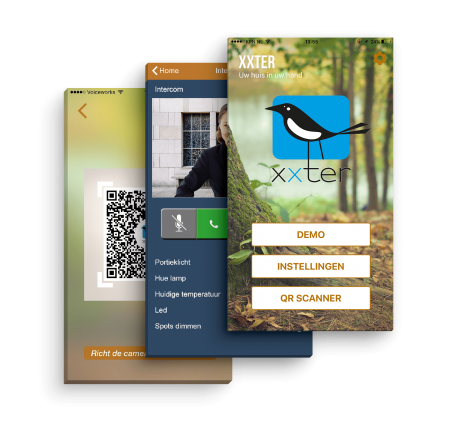 This xxter app is required to connect to your xxter unit. This app will make the control and visualization of all the available functionalities in your home or office easier them ever before.